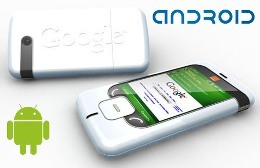 The Google Android mobile OS has captured 9% of the market share, and is growing fast. The key to Google Android’s fast growing market share is the diversity of handsets that are being embraced by mobile phone carriers. Android’s mobile OS allows phone makers and carriers alike to take advantage of a great dataphone that is both open source and a mobile web solution for customers. According to the latest data from comScore Inc., Google’s Android operating system accounts for about 9.0% of the U.S. smartphone market, up from 3.8% in November 2009. Research In Motion’s Blackberry device remains atop the smartphone market with a 42.1% share, up from 40.8% in November. Apple’s iPhone slipped one-tenth of a percentage point to 25.4%, while Microsoft Corp. fell 4 percentage points to 15.1% and Palm Inc. was down to 5.4% from 7.2%. There is no doubt that the mobile smart phone marketplace is a highly competitive environment. Google’s Android mobile operating system seems better positioned than all other platforms because of its diversity of applications across a wide range of handsets and carriers. Compare this to a business model such as the iPhone. The iPhone operates off of one operating system – the iPhone mobile OS. However, this operating system is confined to only one phone, only one carrier, and is not open source. This means that only Apple developers hold the ultimate decision making power for what applications are run on the iPhone. With Google Android mobile OS being open source, it is more of an evolutionary process where any application can be developed and released, but only the best applications really make it to the forefront of mass users. Developed applications that have no value to users will simply disappear from the market. This “open source” system is why Google’s Android mobile OS is set to continue growing in market share globally. Microsoft will probably be releasing a bunch of new phones to the market as well that run on their Windows 7 mobile OS. But Microsoft is more of the same as Apple and their iPhone. They operate on a closed community of developers and an anti-open source; in addition, all decisions are made from one company and users and developers are held at a distance. These are all strategies that work, contrary to the mobile and data device market place. Users have too many wants and needs, and it’s really only from an open source community of developers that diverse applications can be created and adopted. ComScore asserts that more than 45.4 million people in the U.S. owned smartphones in an average month during the December to February period, up 21% from the three months ending November 2009. The research group’s data indicates that most of the 234 million Americans who were mobile subscribers during that period were still using regular-feature phones. The author of this article obviously has no Idea what Open Source stands for… Ability for anyone to release their app to the market is not open source. Apple could start allowing every app to make it to the app store and iPhone OS would still be closed source..